Aktion Erntefest (German: for Operation Harvest Festival) was the World War II mass shooting action by the SS conducted at the Majdanek concentration camp and its subcamps, purposed to liquidate the remaining Polish Jews in the Lublin reservation and the Lublin Ghetto within the General Government territory, including its entire slave-labour camp workforce. The operation took place on 3 November 1943. 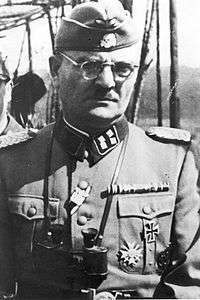 Approximately 43,000 Jews were killed on the orders of Christian Wirth and Jakob Sporrenberg during Aktion Erntefest thus concluding Operation Reinhard. The timing of the operation was apparently in response to several efforts by surviving Jews to resist the Nazis (for example, the uprisings at the Sobibor and Treblinka extermination camps, and armed resistance in the Warsaw, Białystok, and Vilna ghettos). The SS feared additional Jewish-led revolts in the General Government, ahead of the Soviet counter-offensive. To prevent further resistance the SS decided to kill most of the remaining Jews who were employed in slave-labor projects of the Ostindustrie (Osti) enterprise owned by the SS, while imprisoned at the Trawniki, Poniatowa, and Majdanek concentration camps with subcamps in Budzyn, Kraśnik, Puławy, Lipowa and others. 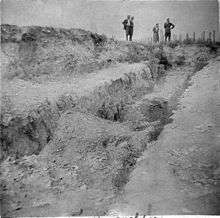 The inmates were ordered to dig anti-tank trenches unaware of their true purpose. The Orpo police formation tasked with performing Aktion Erntefest had prior experience in the area. It was involved with the liquidation of the ghettos in the Lublin district of the General Government from which the same targets originated. Members of the battalion conducted roundups and deportations to Treblinka and Majdanek death camps as part of Aktion Reinhard, but on several occasions they also committed mass murders, including the Józefów Ghetto massacre with 1,500 victims and the Miedzyrzec Ghetto massacre of late 1942. The men of the Reserve Police Battalion 101 worked hand-in-hand with the Trawniki men from Ukraine already since August 1942 committing war crimes in a string of other locations in Poland including Łomazy, Radzyń, Łuków, Końskowola (massacre at the hospital), Komarówka, Tomaszów, Serokomla, Talczyn and Kock among others. "Erntefest" was the largest single-day, single-camp massacre of the Holocaust under direct German occupation, totalling 43,000 in three nearby locations. It began at dawn on 3 November 1943. The main camp as well as the Trawniki and Poniatowa subcamps of the Majdanek extermination camp were surrounded by SS and the Reserve Police Battalion 101 (a unit of the German Order Police from Hamburg) augmented by a squad of Hiwis called "Trawniki men" from Ukraine. The Jews were taken out of the camps in groups and shot layer upon layer inside the pits dug specifically for this purpose. The burial site resembled a "solid mass of women's and men's bodies heaped together... with legs and arms interlinked." At Majdanek, Jews were first separated from the other prisoners. 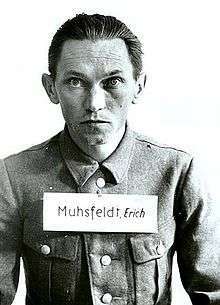 They were then taken in groups to long and deep trenches and shot one-by-one under the leadership of pathological killer Erich Muhsfeldt (as described by Thernes himself). At the main camp, 18,400 Jews were killed on 3 November 1943. Jews from those other slave labor camps in the Lublin area were also taken to Majdanek and shot simultaneously. Music was played through loudspeakers at both Majdanek and Trawniki to drown out the noise of the mass shooting. The killing operation was completed in a single day at Majdanek and Trawniki. At Poniatowa the shootings took two days, because in one of the barracks Jews staged a revolt. To stamp it out the SS set it on fire and the killings went on as planned. At the conclusion of the Erntefest massacres, the district of Lublin was for all practical purposes judenfrei. The murderous participation of Reserve Police Battalion 101 in the Final Solution came to an end... For a battalion of less than 500 men, the ultimate body count was at least 83,000 Jews. ↑ Browning 1992; 1998, p. 138. 1 2 Jennifer Rosenberg. "Aktion Erntefest". 20th Century History. About.com Education. Retrieved 2013-04-16. 1 2 "Aktion Erntefest". Interrogation of Sporrenberg – National Archives Kew WO 208/4673. Holocaust Research Project.org. 2007. Retrieved 2013-04-17. ↑ Browning 1992; 1998, p. 135-136. ↑ ARC (2004). "Erntefest". Occupation of the East. ARC. Retrieved 2013-04-26. 1 2 Robertson 2013, section 12 & 14. ↑ Browning 1992; 1998, pp. 135–142. ↑ USHMM (May 11, 2012). "Soviet forces liberate Majdanek". Lublin/Majdanek: Chronology. United States Holocaust Memorial Museum, Washington, DC. Retrieved 2013-04-13. 1 2 Lawrence, Geoffrey; et al., eds. (1946), "Session 62: February 19, 1946", The Trial of German Major War Criminals: Sitting at Nuremberg, Germany, 7, London: HM Stationery Office, p. 111, retrieved 2013-04-26 . ↑ Narration (2013). "Anton Thernes answers questions at the Majdanek Trials. Historical film footage". Majdanek concentration camp. Part 2 of 5. Google+: real life sharing (from Official archives of the Republic of Poland). Retrieved 2013-04-22. ↑ Jakub Chmielewski (2013). "Obóz pracy w Poniatowej". Obozy pracy w dystrykcie lubelskim (Labor camps in the Lublin District). Leksykon Lublin. Retrieved 2013-04-26. ↑ Browning 1992; 1998, pp. 141–142. Browning, Christopher R. (1992–1998). "Arrival in Poland" (PDF). Ordinary Men: Reserve Police Battalion 101 and the Final Solution in Poland. Penguin Books. Archived from the original (PDF file, direct download 7.91 MB complete) on October 19, 2013. Retrieved May 7, 2013. Also: PDF cache archived by WebCite. Rosenberg, Jennifer: Aktion Erntefest. From: About.com: 20th Century History.